Pick-up dogs are not only dogs that pick us up when we’re down as I’ve seen Marcos do when we visit hospice patients, nursing homes or psychiatric patients. Pick-up dogs are dogs that ride in pick-ups. Dogs riding in vehicles seems to be an American tradition that goes back a long way. Lupe and Marcos follow in a tradition that includes Meriwether Lewis’s Newfoundland, Seaman, who rode on a keel boat and the dugout canoes made out in the field to cruise down what was then a much rougher Columbia River. 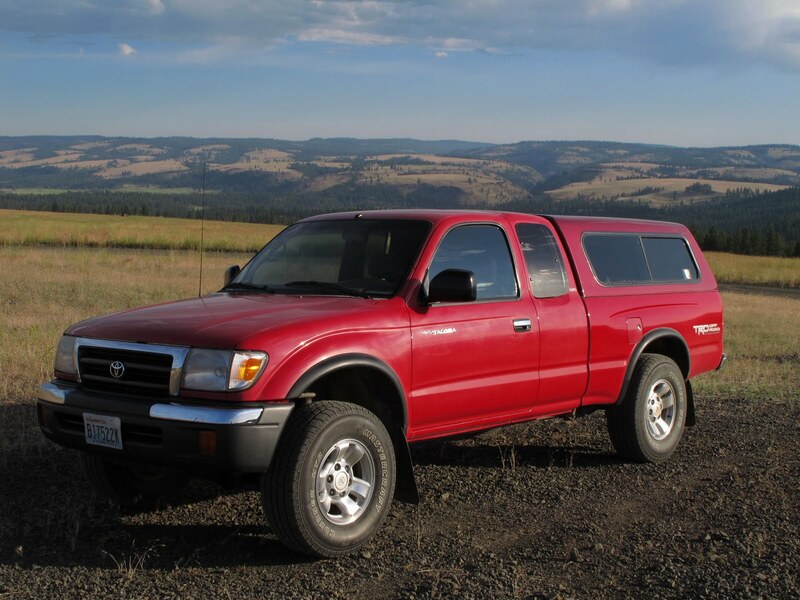 Although neither Mackenzie nor Lewis and Clark’s Corps of Discovery had pick-up trucks, of course, the spirit of their journeys as explorers set the tone for those of us who wander across America in our pick-ups now. 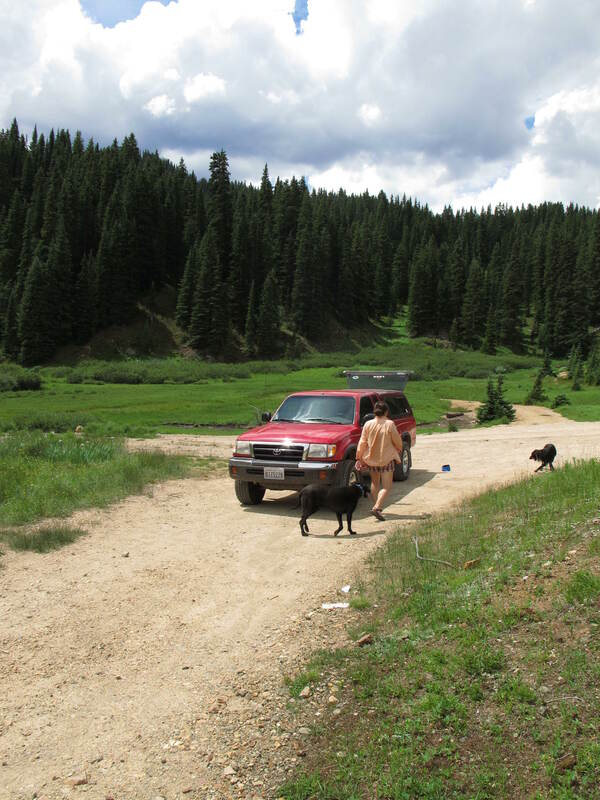 Although seemingly incongruous, dogs and pick-ups have a lot in common. Both are indelibly wrapped up in the American mindset in a way that defines who we are. Both are working beasts, seemingly essential to certain types of work. 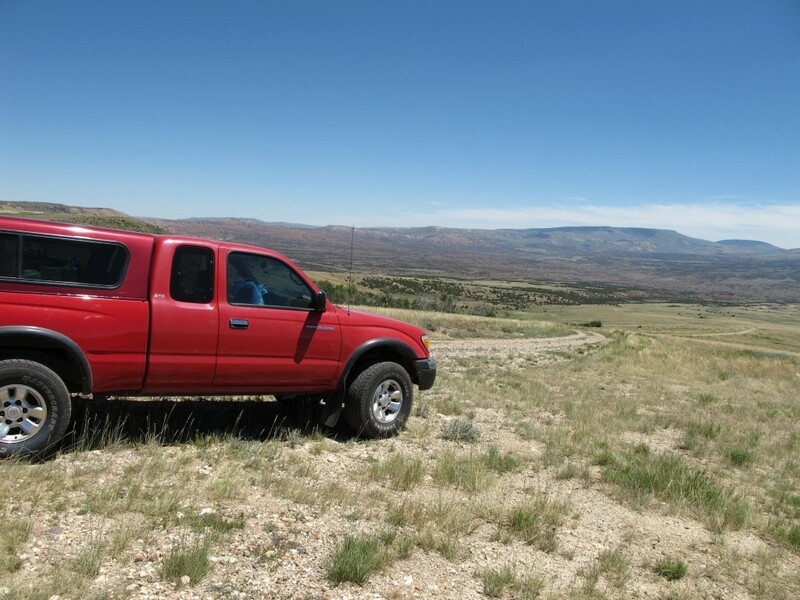 Although in recent times, for most people the workhorse capacities for which both dogs and pick-up trucks are famed are limited to myth. While a dog might be defined by his/her working ability and one might observe the ubiquitous presence of trucks where contractors, loggers or any other heavy duty work is involved, it can be safely wagered that only a minuscule percentage of dogs and trucks are used in the tasks for which they were designed. Mar and me somewhere in Montana during the approach of a massive thunderstorm. Pick-ups and dogs are such unique American phenomena. It’s not like they don’t have dogs or pick-ups in other countries but we do have a special relationship with them. And both dogs and pick-ups, in a strange way, define our relationship with nature. This is Tommy Three-Reds in the Blue Mountains of Eastern Oregon, one of the most beautiful places I have ever been. Tommy the Truck has come to be known as Tommy Three-Reds because his cab, bed and camper are three different shades of red. After spending some time with Tommy, I’ve found the saying is true: Once you have a truck, you never go back. Somehow, trucks don’t dirty as easily as passenger vehicles or minivans. I have found that it can be a comfort that most trucks don’t have the creature comforts that their counterparts do. I will resort to Steinbeck whose word is gospel on this matter: “A trucker requires many more thousands of miles of good service than a passenger-car owner. He is not to be dazzled with trimming or fins or doodads and he is not required by his status to buy a new model every year or so to maintain social face. 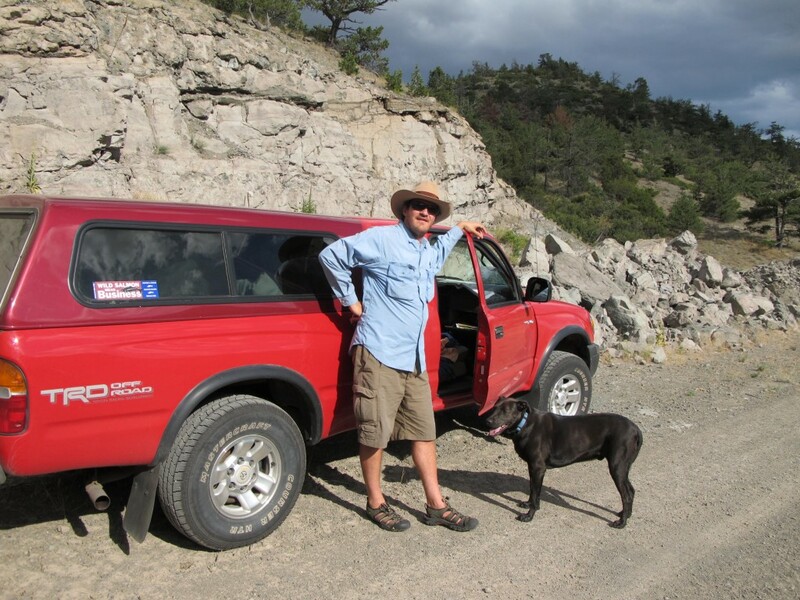 Everything about my truck is made to last.” In my experience with Tommy, I have found all of these words to be true. Both dogs and pick-up trucks represent a more rugged past that Americans, and western Americans in particular, consciously or unconsciously try to access through travel and reinvigorated attempts at reconnecting with nature. Travel, more markedly travel with dogs, brings us closer to a part of ourselves that we have lost with the quick pace of contemporary reality. Those of us who travel with dogs know that when we observe nature through the eyes (and noses) of our dogs, we can see all of the details that we might have missed otherwise. And as traveling companions, there is nothing better than a dog, who rarely complains, and is frequently a source of laughs. This companionship in travel, epitomized by Marcos and Lupe in their travels with my wife and I throughout the United States that I recount this book, makes us whole again. Because they are capable of providing therapeutic bonds that link us with our wilder nature, dogs represent an escape from western life, even as they fit into the culture of consumerism in the sense that they let people live out the fantasy of owning a house and having a dog. In this way, dogs are built into our neuroses and into our values, which means that they are part of the illusion that tells us that acquiring material goods (even living creatures) is a way to achieve happiness. Moreover, they provide a remedy for or escape from the modern world by revealing the beauty of nature, a web of life into which humans are inextricably woven. In this way, the chronicles of the adventures of Lupe and Marcos point to dogs’ potential to heal people while also documenting the idiosyncrasies of western life. In this way, the stories of Marcos and Lupe illustrate how dogs can save the West from being won. Kirsten and the dogs with Tommy Three-Reds in New Mexico. 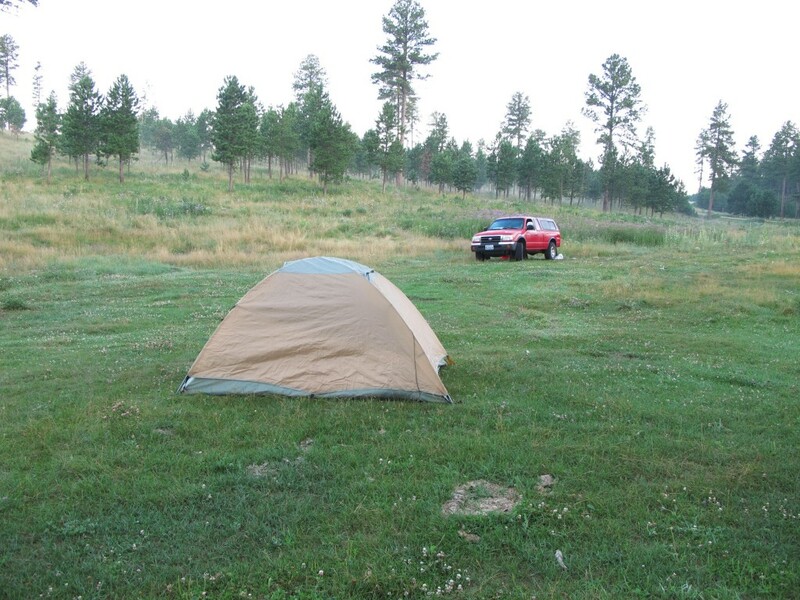 Camping in a cow pasture in the Absaroka Range, Montana. 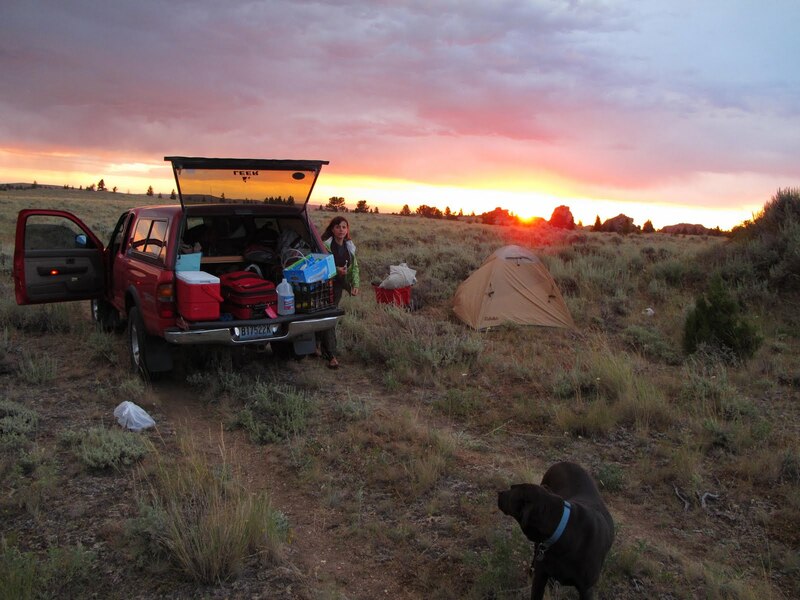 January 5, 2012 | Filed under Uncategorized and tagged with dogs, Montana, Oregon, pick-ups, South Dakota, travels, trucks, west. One Response to What are Pick-Up Dogs?